All methods explained how to set up and verify your website with Google Search Console, described with video examples. Google Search Console is your way as a site owner to give instructions to Google on how to scrape/crawl your site and what pages you think Google should index. Google may not follow them always, but it is best practice to have it set up and it is the only way to control your site presence in the Google search results page (SERP). Do I have acccess to Google Search Console? Go to Search Console and sign in with your Google account. Do you see your site in the list? If not, you do not have access. 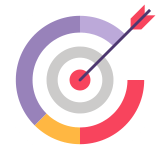 When you are setting up your site with Search Console, you will reach the Verification Details page. In Google Search Console, select your site. Then click the top right cog wheel, and select Verification Details. Select HTML file upload in the list of methods. If you don’t see it, check the Alternate methods tab. Click the link to download the HTML verification file. Add, and activate a file manager compatible with your version of WordPress. Go back to Search Console and confirm the upload by visiting the file you just uploaded. Select Google Tag Manager in the list of methods. If you don’t see it, check the Alternate methods tab. Go to Google Tag Manager and add an account. Select a Web Container. Copy the Google Tag Manager container ID, it looks like GTM-ABCDEF. Install, and activate a Google Tag Manager plugin compatible with your version of WordPress and save your changes. 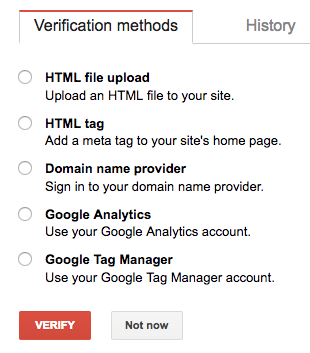 Go back to Search Console and click the Verify button. Select HTML tag in the list of methods. If you don’t see it, check the Alternate methods tab. Copy the META tag snippet of code. Open your website’s header file. In WordPress it is called Theme Header (header.php) and found under Appearance > Editor. Paste the meta tag somewhere in between <head> and </head> and save the file. The Google account used for Search Console must have edit permission for the Google Analytics property. Select Google Analytics in the list of methods. If you don’t see it, check the Alternate methods tab. Paste the coce somewhere in between <head> and </head> and save the file. 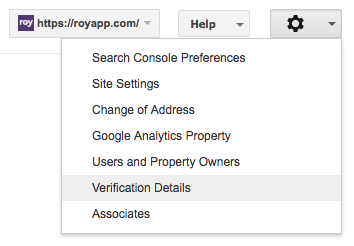 Go back to Search Console, and click the Verify button. Copy the Google Analytics Tracking ID, it looks like UA-1234578-1. Install, and activate a Google Analytics plugin compatible with your version of WordPress and save your changes. Data in Google Search Console lags about 48 hours. Just wait, and check in again after a couple of days. NEXTHow to migrate websites and not lose traffic?